Tai chi ch’uan, which is usually shorted to t’ai chi, is Chinese martial arts. The original purpose of it was for self defense. It is more sought after today by its practitioners to help them find spiritual and health development by encouraging Qi (life energy). Tai chi has also been used as a therapy to prevent and treat disease. Practitioners of Tai chi learn how to think and move in ways that are governed by principles and methods of its practice. Tai chi also teaches the awareness of natural laws that govern change and encourages those that practice it to ponder on the mechanism of change and movements that dictate every aspect of our lives and the world around us. In present day China, tai chi is used in hospitals to treat chronic diseases by getting people to exercise on a daily basis to help prevent disease and keep them in good health. The parks in China are filled with people, young and old alike, practicing tai chi. Tai chi is believed to be one of the oldest systems developed to improve health and reduce incidents of disease and illness. It was called the “great dances” and was devised by the Chinese emperor Yu. Yu thought that if these exercises were done on a daily basis, the body’s natural circulatory processes would be stimulated, the mind would be kept alert, and the human body would ward off the threat of disease. The movements of tai chi can invigorate “positive and agreeable feelings” in the one practicing the art. As time went on, the exercises became more complex than when it was initially developed in centuries past. In the twelfth century, Chang San-Feng extended the range of self discovery through physical and spiritual means. 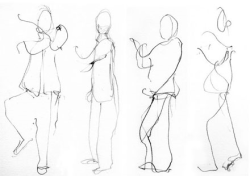 He created a unique variant form of tai chi that was structured to have a set of movements that build upon one another. These movements are interconnected and require the practitioner’s full attention. Tai chi, all in all, is a long exercise that lasts approximately twenty-five minutes. According to experts, this is just the right amount of time, long enough to overcome laziness and resistance develop physical strength, persistence, and patience, to engage very part of the body; but short enough to prevent body or mind fatigue. The movement of tai chi is intended to flow and appear soft, continuous, light, and fluid. It should look effortlessness. At the same time, the body must be firm, strong, and stable while the mind is active and alert. There are circular, curve, arc, and spiral movements. During the various actions, muscles are never maximally tensed. The amount of effort-tension also depends on the demand of the movement or position. For example, more energy is required to stand on one leg than two. The muscles will behave differently in each case. Force is never added to a movement, despite the natural inclination to add as much force as is necessary for each movement. As the old Chinese tai chi masters say, “Use one pound to life one pound.” This approach to tai chi is to balance force with what is necessary. This will help awake the practitioner to their use of strength and help them find a harmony with the forces of gravity. Balance is an important aspect of tai chi. Through this control, all muscles and joints will be engaged and strengthened. Posture and lightness of movement will be a consequence of good body balance. When balance is achieved on the physical level, mental and emotional stability will follow. Tai Chi is flowing and connected. Each moment of movement is constant, without any kind of break. Through this fluidity, calmness is achieved. When one movement ends, another begins, with no cessation of movement throughout the duration of the twenty-five minute exercise. Endurance and stamina grow as one develops the ability to sustain an even continuity. Generally, tai chi is taught in small group classes, though some teachers may offer private lessons. Classes are usually held indoors with wooden floors. If the weather permits, classes may be held outside where students can take in the environment by breathing fresh air. They can even feel more in harmony with the natural surroundings. Loose comfortable clothing is worn. Students may be in barefoot, but socks or soft Chinese slippers are permitted, depending on the surface of the floor. Music is never played during the class when teaching the discipline since it will distract the student from the awareness of the natural rhythms within their form. Tai can be practiced by anyone, children, adults, even senior citizens. While beginners are generally separated from the more advanced practitioners, it may be a benefit to see the natural movement that the more advance class offers. Likewise, it may be a benefit for advanced practitioners to go to a beginner class to rediscover something they never noticed. Many people believe the practice of tai chi helps give a more calming feeling. It has been reported by tai chi practitioners that by doing one of the form, the mind will focus away from anxiety, and emotional and psychological problems will have a tendency to evaporate. Others have benefitted by feeling more physically and mentally proficient and clear. The quickened physical reflex help discard old and bad habits. Self consciousness is decreased while self confidence and assurance increase. Many practitioners report that the different forms have helped increase patience, awareness, and endurance. Tai chi promotes health as its gentle movements massage internal organs, thus enhancing their function. The will get the blood and energy circulating throughout the entire body. One way that tai chi helps circulation is through shift in weight distribution. With each change of postures and stances, the weight of the body will shift between the right and left side, which will cause the leg musculature to expand and contract. This helps pump the blood back into the heart, which makes tai chi effective against heart disease. Tai chi also helps increase joint flexibility, which makes it perfect for symptoms of arthritis. By straightening the body with gravity, tai chi helps straighten the spine, alleviating tension, and decreasing lower back pain. This is why many medical doctors and chiropractors that deal with pain management recommend tai chi to their patients. There are many other conditions that are alleviated by tai chi, such as stress and other diseases that have a stress component. Through the movement of tai chi, the practitioner can take on a journey of self discover. It helps people increase awareness. During the periods of silence, the spirit of the practitioner has the opportunity to grow and open up. Tai Chi teaches its practitioners to relax, even if there is a threat of danger. When someone is in the state of relaxation, that person will become much more alert and able to react with whatever is going on at that moment. Tai chi teaches its practitioner to not overcompensate on muscular strength and use softness. Without resisting or running away, one can learn to yield to the incoming forces by listening, interpreting energy instead of opposing or fighting it.